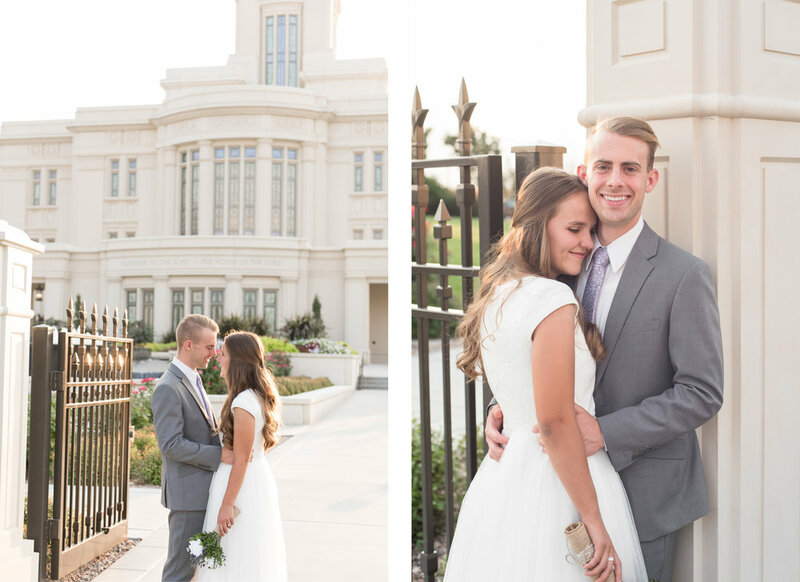 A few days before Kelsie and Josh tied the knot, we were able to photograph their bridals and first look. Even with all the smoke in the air from the recent fires, it ended up being a perfect evening for it. 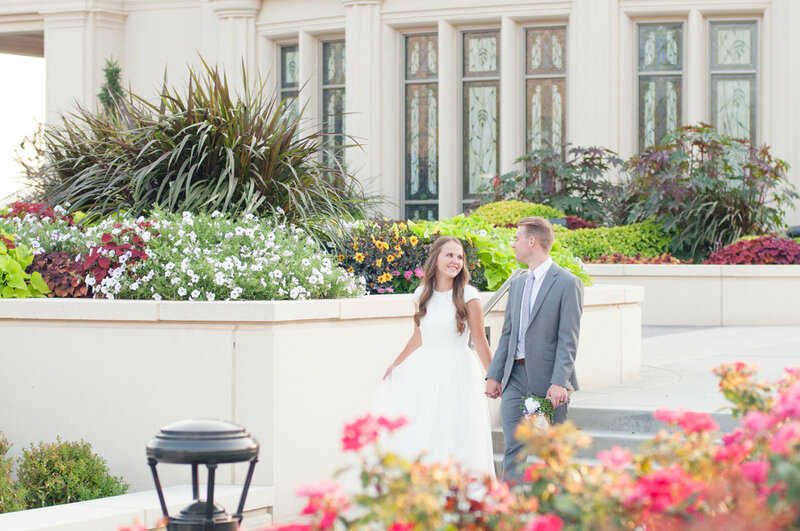 The plants and flowers on the Payson Temple grounds were in full bloom and bursting with vibrant colors. The temple was less busy than many evenings, which almost had us feeling like we had the whole place to ourselves. 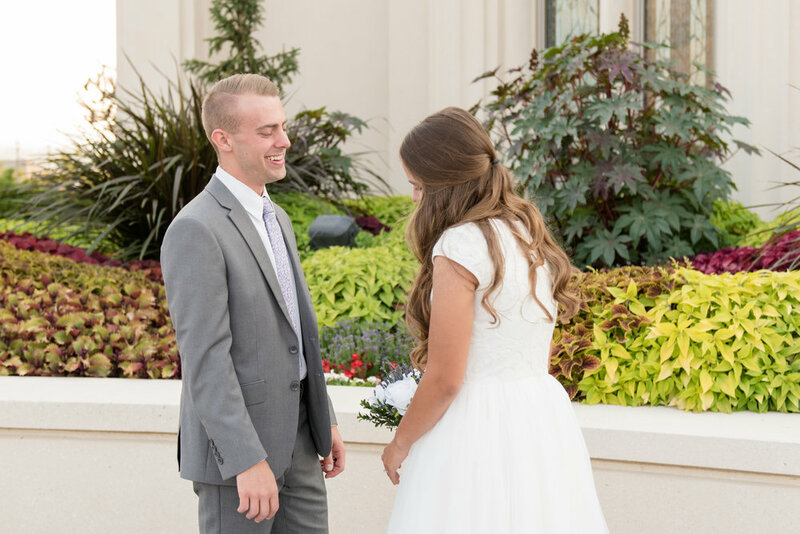 Whenever we do a first look we like to ask our groom if he is nervous. Almost always that answer is "Yes!" But when we asked Josh he surprised us by saying that he was not. 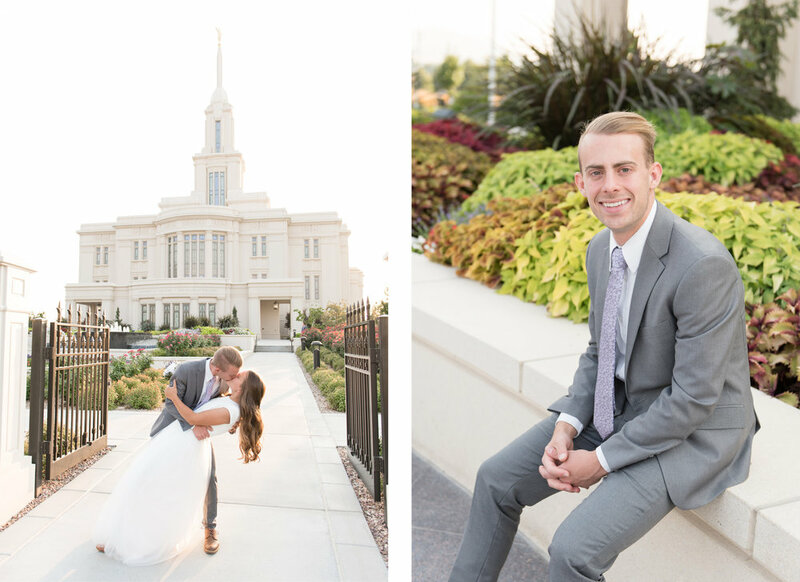 He simply said that he was excited and ready to marry his sweet bride. 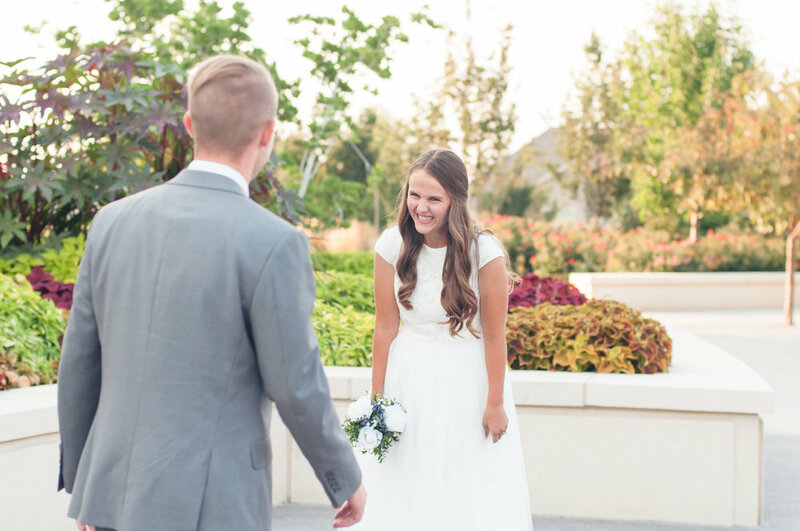 The moment he turned around and saw Kelsie for the first time dressed in her lovely wedding gown they were both all smiles. 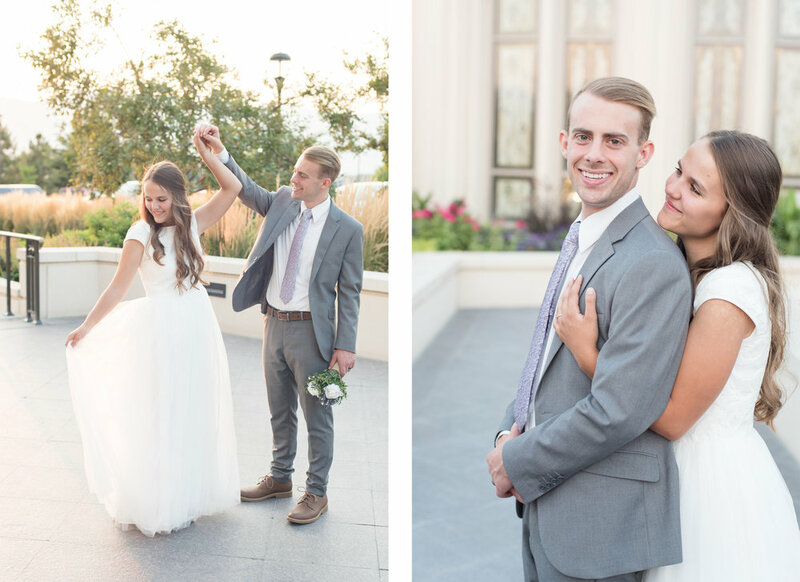 We have absolutely loved being with Josh and Kelsie through this fun and exciting time. During their engagements we spent the time laughing as we played around in the Santaquin Canyon meadow. Being with them during their bridal shoot and then again on their wedding day just added to our joy of being able to get to know these two. We are always a little sad when it's over because that means we do not get to hang out with our sweet couples anymore. 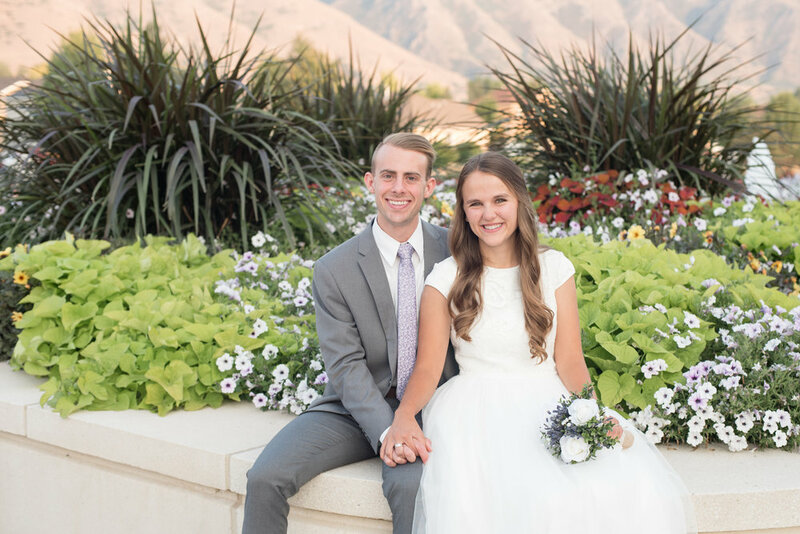 We sincerely thank you Kelsie and Josh for allowing us to go on this wonderful journey with you. We know that you will go far in life and accomplish many things, hand in hand, as husband and wife. 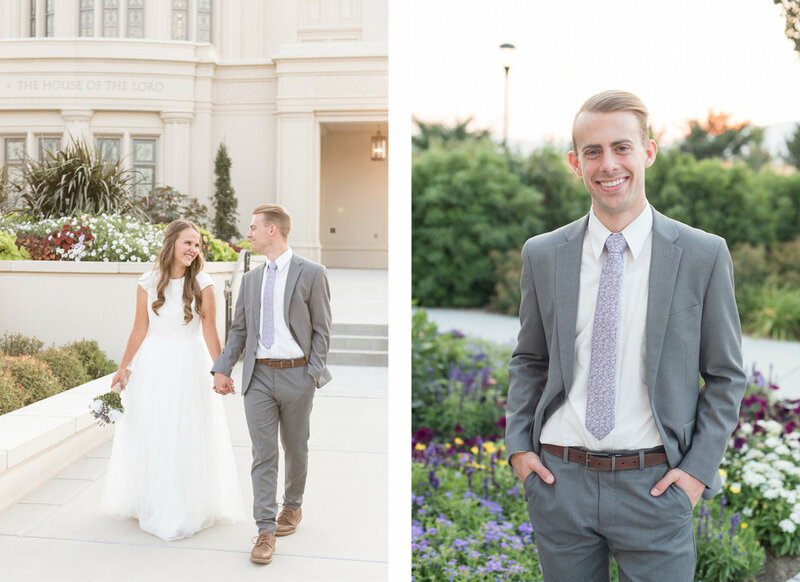 Enjoy some of our favorites from your first look bridal session!